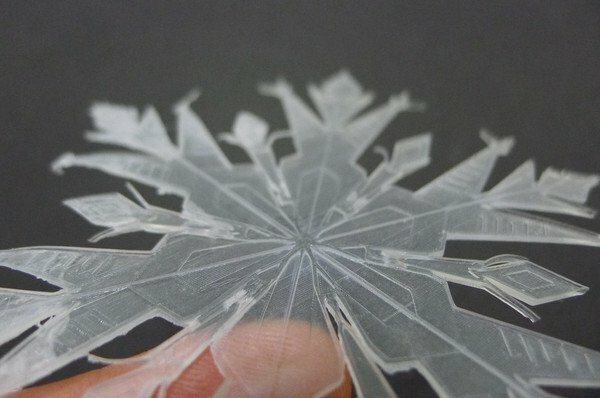 Winter is finally leaving (we hope) but we have one last snowflake for you by Sung Woo Choi. Check out Choi’s recent walkthrough on finishing a printed female figure, too. Meanwhile in engineering-land, Paul Ingram prototyped a gearbox assembly in white resin before generating the toolpaths for CNC milling in aluminum. Catherine Hajek’s Printer set up and printing! Between battles with Puerto Rico’s humidity, Catherine Hajek has printed a family of ball-jointed dolls… some with scissor feet. We had to look up what a degu was, but we’re certain that Vincent Erb’s son’s degu is the envy of the brush-tailed rat community, with this custom printed running disc. Casey Steffen, meanwhile, is making the microscopic world of protein structures fit into the palm of a hand with Biologic Models. He’s using his Form 1 to print models of proteins at 18 million times their real-life size, incorporating x-ray crystallography and 3D modeling in the creation of a manipulable model. His innovative techniques for dyeing and marking certain regions of the modeled enzymes are a topic for another post — stay tuned — but right now, check out the HbA1c campaign on RocketHub! As always, let us know what you're up to in the forums — we love seeing what you're forming.